This week's comic for Investing.com is a little bit of a departure from the norm. There have been several big-ticket financial news stories developing over the last several days: Janet Yellen's speech before congress, Greece's financial bailout negotiations and earnings reports to name a few. 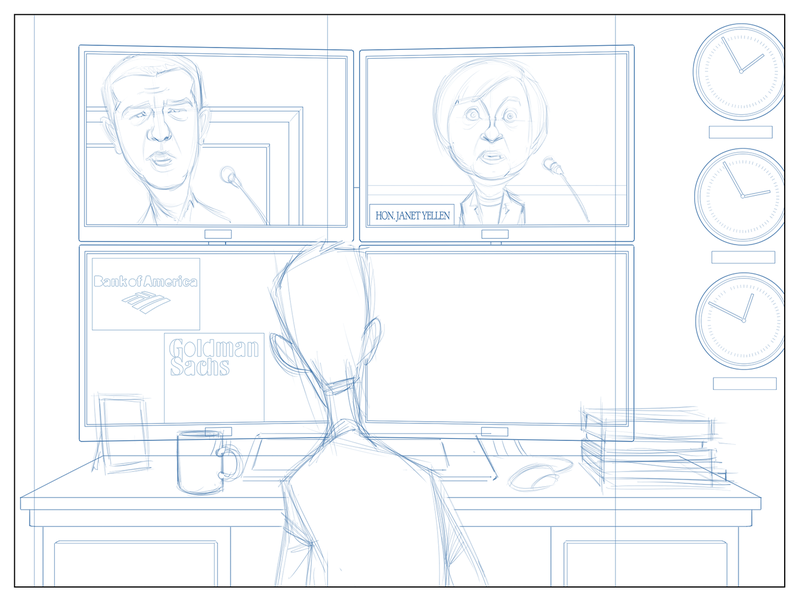 Instead of focusing on one story, the crew at Investing.com asked me to include multiple stories in one comic. 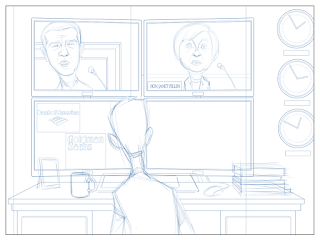 I was asked to draw a stock trader sitting at a desk staring at a group of four computer monitors. 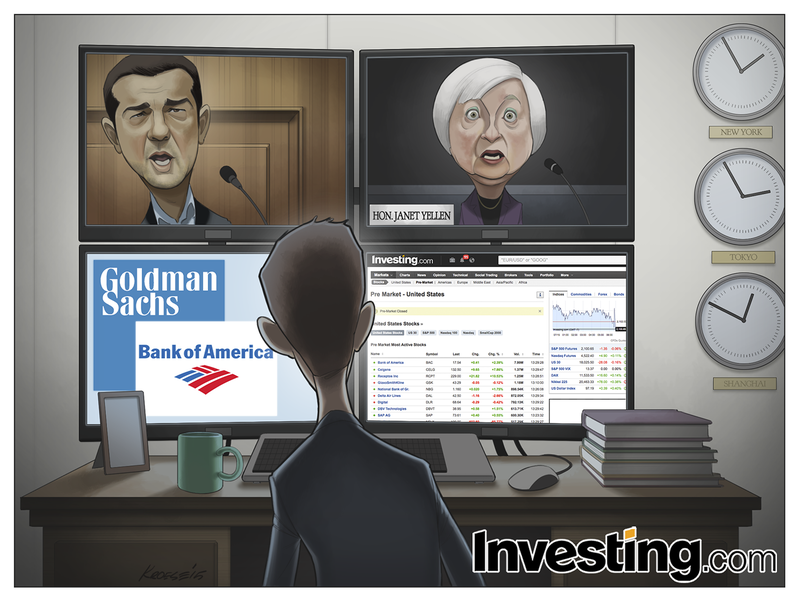 The screens were to feature Greek Prime Minister Alexis Tsipras, Fed chair Janet Yellen, an Investing.com page, and the logos of Goldman Sachs and Bank of America (earnings reports). I've been working on bringing my drawing chops back up to muster lately. The last couple of comics weren't my best work (in spite of the fact that I was putting in my best effort). This week I felt more comfortable with my output. Things came more easily and the process was definitely more fun. I think this is a solid comic. The caricatures look pretty good, the shading and composition are fairly interesting, and it was fun. That last part, selfish as it is, is a pretty important component for me. The more I enjoy the work, the better it usually comes out. This isn't exactly revelatory, I know. At any rate, good times.